On December 11th, a pipe bomb detonated in an underground passageway near the Port Authority bus terminal in New York City. And a suspect in the bombing has been identified. The suspect is 27-year-old Akayed Ullah, an immigrant from Bangladesh who has lived in the Brooklyn for the past seven years and has an address in New York City. Ullah detonated a bomb that Police Commissioner James O’Neill described in a news conference as an “improvised, low-tech explosive device,” which he attached to himself using zip ties and velcro. Ullah told police that he made the bomb at work, though the nature of his job is unknown. Four people, including Ullah, were injured in the attack. No deaths were reported, and the victims’ injuries are not life-threatening. Ullah sustained cuts and burns to his arms and upper body. He has been taken into custody and is being treated at Bellevue Hospital in New York. Law enforcement officials told the Associated Press that Ullah detonated the bomb in the name of ISIS but that he was not in direct contact with the terrorist organization. O’Neill said that Ullah made a statement to police about his connection to ISIS, but he did not disclose what Ullah said. Ullah was licensed as a taxi driver in NYC from 2012 to 2015, NBC reported. Police officers found three addresses in Brooklyn that were connected to his name or to his relatives. One of Ullah’s former neighbors in the Mill Basin section of Brooklyn told NBC News that Ullah lived with his parents and two brothers. 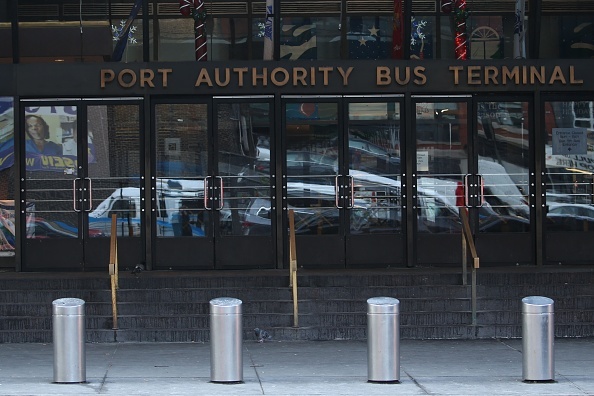 The explosion at Port Authority is an unsettling act of terror. We are relieved that the suspect has been detained and that no one died in this attack, and we’ll be keeping an eye on the story as it continues to unfold.